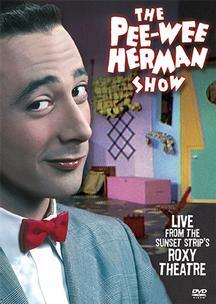 Not quite a children's show, The Pee-Wee Herman Show is slyly subversive, a little bit naughty and always outrageous. Making its premiere as a midnight show on February 7th, 1981, at The Groundlings Theatre in Hollywood, the performance then moved to the famed Roxy Theatre on the Sunset Strip where it was filmed as part of HBO's new series On Location. Conceived as an homage to children's television programs of the 1950's and 60's, this live stage production features original music, puppets, a cartoon, a short educational film and Pee-wee's hilarious live-action friends. In our many years online, we've had 5,122,921 sets of human and robot eyes examine our website.